Bird droppings cover spectator seats at Pimlico Race Course in 2018. The closure of the 125-year-old Old Grandstand’s open-air section, which makes up about 17.5 percent of Pimlico’s overall seated capacity of almost 38,000, will be in effect for the Preakness and Black Eyed Susan Day. The announcement also comes days after bills supported by Stronach that would have directed funding to its Laurel and Bowie race tracks, died in the General Assembly. The bills were fiercely opposed by Baltimore lawmakers, including ex officio Mayor Bernard C. “Jack” Young and Mayor Catherine Pugh, who viewed the proposed legislation as a sign that Stronach hopes to move the middle jewel of the Triple Crown out of Pimlico. Mayor Pugh, who is currently on leave amid health problems and scandal, filed a lawsuit in March to seize Pimlico from Stronach and prevent the possibility of moving the Preakness from Pimlico to Laurel. Delegate Nick Mosby, who’s advocated for better living conditions for workers at Laurel, notes that Stronach has spent the vast bulk of $112 million in state grants for improvements at Laurel and far less at Pimlico. 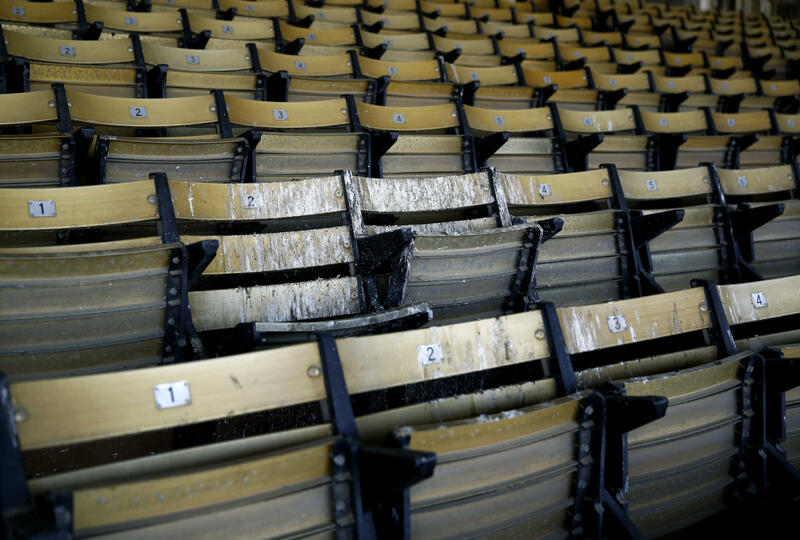 Fans who already purchased tickets in the Old Grandstand for the Preakness and Black Eyed Susan Day have until May 1 to exchange them for new seats, the Maryland Jockey Club says.